офіційний сайт | пільги ! Чотиризірковий готель Chems розташований за 500 метрів від площі Джамаа-ель-Фна і мечеті Кутубія. До послуг гостей відкритий басейн і ресторан з видом на басейн і сад. Усі номери готелю Chems облаштовані власним балконом з чудовим видом, РК-телевізором з супутниковими каналами і ванною кімнатою та оформлені в сучасному і строгому стилі. У ресторані з великими колонами щоранку подають континентальний сніданок. У сонячні дні гості можуть повечеряти на терасі біля басейну або замовити закуски в барі біля басейну. В номерах та зонах загального користування надається безкоштовний Wi-Fi. На території гості можуть користуватись приватною автостоянкою. Відстань до аеропорту Марракеш-Менара становить лише 5 км. We had breakfast included. It was not fancy, but it was there. Вівторок, 26 березня 2019 р. Great location. Enough sunbeds to go around. Bar was reasonably priced. Breakfast was good. The young people in reception are helpful and polite. Two young porters are friendly and professional. The car park attendant was also polite. Пʼятниця, 22 лютого 2019 р. It was lovely and clean ,also the location was excellent,the main square was only minutes away,Menara Mall also within walking distance.Staff friendly and helpful. Location is superb. 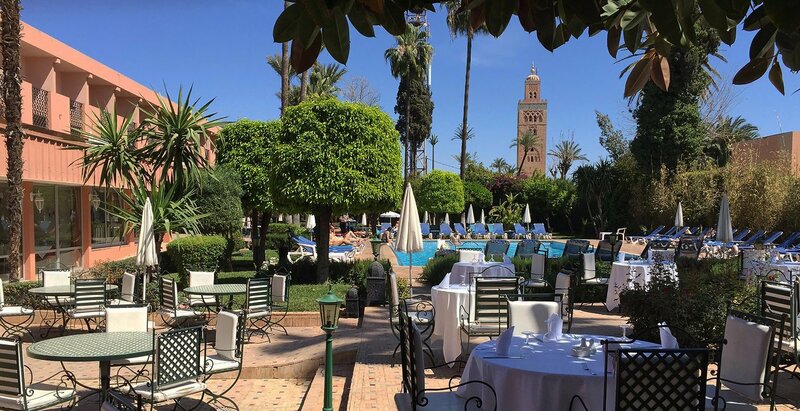 The hotel is directly across from La Mamounia where guests pay $500 a night. Beautiful gardens. Best WiFi of any hotel I stayed at in Morocco. The location excellent and staffs are nice. Location is excellent, very close to main city attractions. Room &amp; bed size were good. Garden beside the pool was great. Breakfast was adequate. Неділя, 9 грудня 2018 р. Room was good and bed was really comfortable. 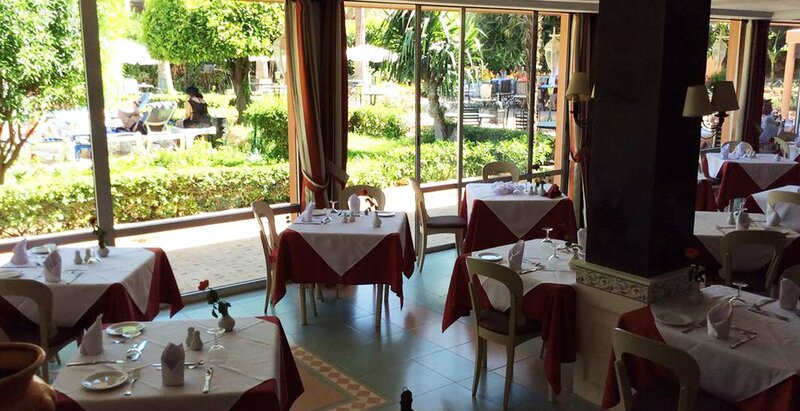 Nice location in walking distance to the Medina and souk. The hotel has a great garden and a good swimming pool. Housekeeping is good and so is the barman. The hotel serves relatively cheap drinks at the pool. Breakfast is fine. 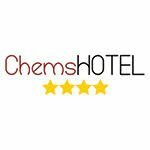 It was a wonderful holidays in Chems hotel, I recomanded as the near place next to down town to stay in during your vacation. and I will come back soon. Пʼятниця, 24 серпня 2018 р. It was quiet.. the only good thing. Overall the hotel is clean. Понеділок, 30 липня 2018 р.
Субота, 21 липня 2018 р.
Пʼятниця, 29 червня 2018 р.
Неділя, 24 червня 2018 р. 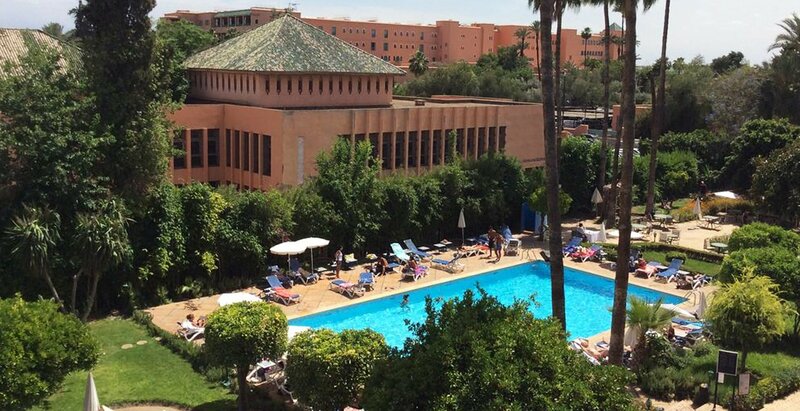 Very close to Jemma el-Fna (main square), just 6 mins walking. There are a swimming pool to enjoy the afternoon before the sunset and go to the square to see the people and nightshows. 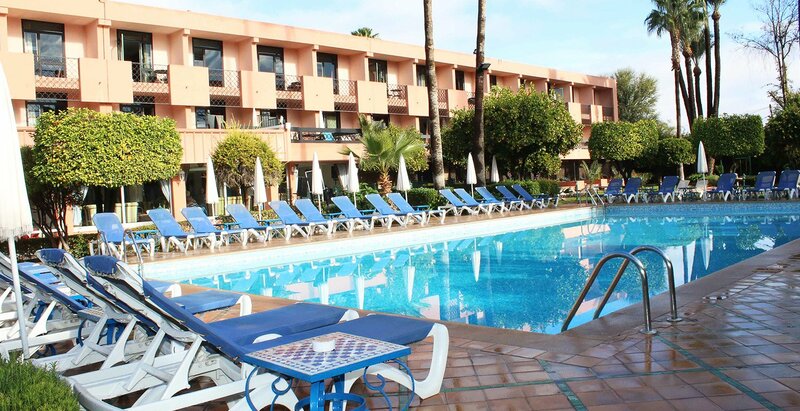 Good value, great location, decent breakfast and the pool was convenient. Неділя, 3 червня 2018 р. Breakfast was about the only thing that was ok about this hotel. The location of the Hotel is good for the Main Square. The pool and gardens are a good bonus so close to the centre of town. Середа, 9 травня 2018 р. Except location the hotwl is horrible . The women is reception was talking badly about 1 person who ask lot of question about tax problems . Четвер, 26 квітня 2018 р. 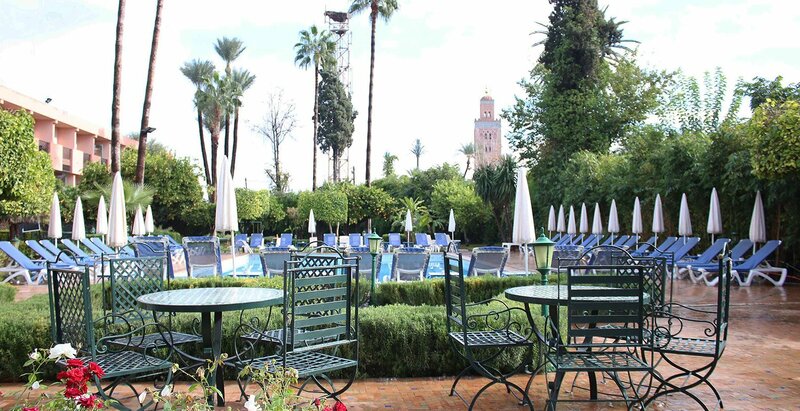 The pool area was a nice, calm place to relax after the madness of Marrakesh. The location was also very good. Понеділок, 23 квітня 2018 р.
Четвер, 5 квітня 2018 р.
Понеділок, 12 березня 2018 р. Close to the market. Rooms comfortable. Breakfast very nice and filling. Location Breakfast Overall staff friendly and helpful. Only one thing is it’s close to city centre. Субота, 24 лютого 2018 р. Nothing except the location is close to Fena Square. 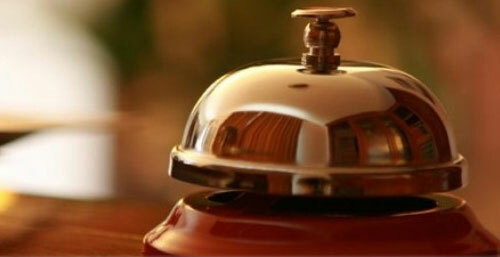 Very clean comfortable beds and sheets, quiet, with friendly staff and a good breakfast. Great location. Would recommend! Четвер, 8 лютого 2018 р. The room was clean, and the beds was very comfy. The location was great, it was right in the centre so easy to get around. The staff were friendly and the room had an amazing view. 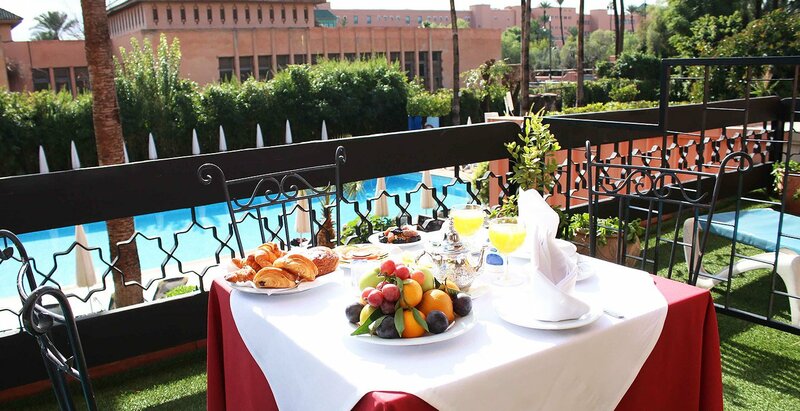 The only reason to book it is the location - walking distance to Medina, Jamal Afnaa and Museums. No other reason to stay there. Location, some of the staff where friendly. 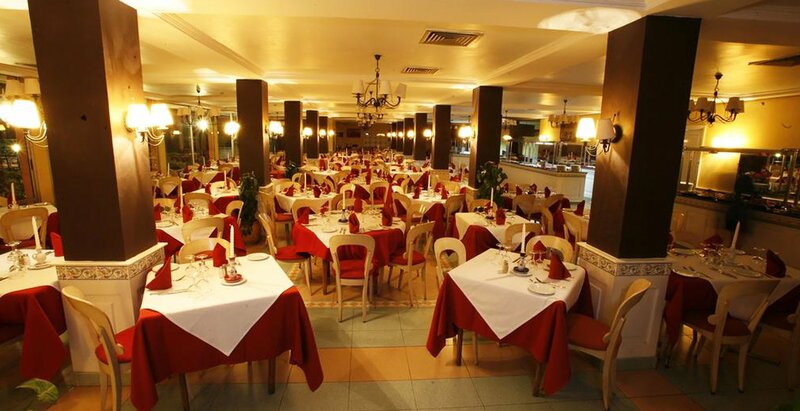 The menu and food choice was very good and staff were polite and helpfull. Rooms were kept clean. VIP-прийом чекає на Вас з марокканськими тістечками і свіжими фруктами у вашій кімнаті. Розслабтеся і дозвольте час завмерти на мить і насолоджуватися самим оздоровлюючий спа-досвід, який ви могли хотіти. Ми пропонуємо меню туристичний виявити марокканські аромати. Закуска Koutoubia пропонує традиційні та міжнародні страви.